$28 - A style that she will love wearing on school days and on the weekend, this girls romper is new for fall 2017. The black bodice begins with a smocked neckline, stretching for an off-the-shoulder fit. The slit in the neckline is tied with a bow. 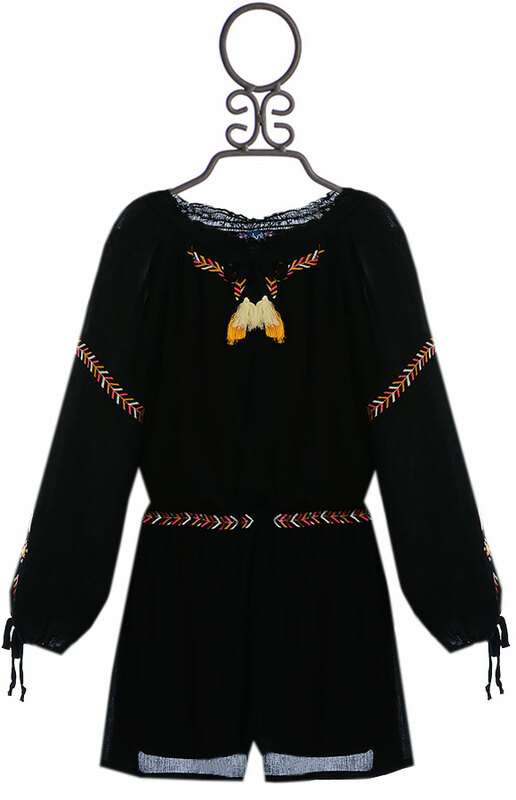 Small touches of embroidery can be found here as well as on the sleeves. The same stripes wrap around the stretch waist. The shorts have a relaxed, loose fit while the bodice has a slight blouson fit. Hand Wash Cold Inside Out, Dry Flat.